So, once again, we find ourselves waiting for a hurricane and wondering how bad it will be. In anticipation I cleaned out the rooftop vegetable garden and came downstairs with a quart of green tomatoes. There were a few more orange ones which I am leaving on the sill to ripen but those green ones just called out to be broiled. 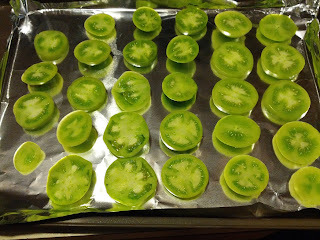 I couldn't be simpler - just slice them and lay them on a baking sheet. Then drizzle with balsamic vinegar, top with oregano and goat cheese, and then a little final drizzle of olive oil. 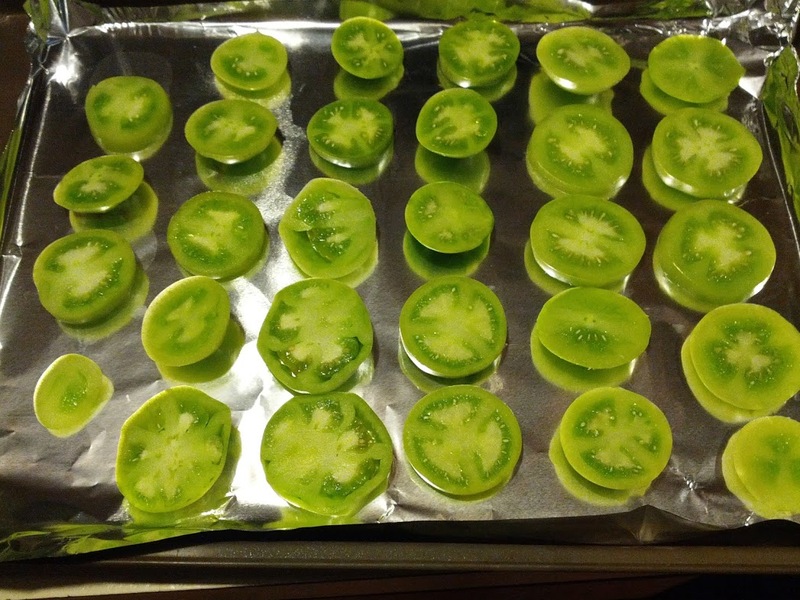 Then you broil them for about 7 minutes. Yum! School was canceled, and we are all home today. We're going to make some Halloween cookies. I got a nifty mold from my mother-in-law that makes cookies which look like fingers!